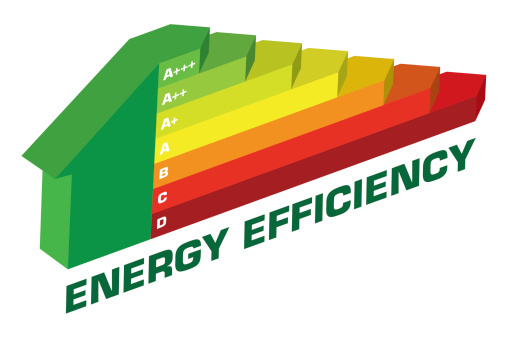 If you think energy efficiency is just about saving the environment, then you’re missing the larger picture, which is simply that it’s a great way for you to save money in the long run. There are a number of ways to make sure your HVAC system is running as efficiently as possible, saving you money on your electricity bill, and yes, helping the environment as well. It is important to conduct regular maintenance checkups in order to keep your HVAC equipment running smoothly, prevent future issues, and avoid unwanted expenses. There are some things you can do yourself, but to keep things running at peak performance it is best to have yearly maintenance plan with At Your Service. Filters—You should be changing out your HVAC filters regularly on your own. Here in Florida we run our AC units more than they do up North in general. A rule of thumb is to change your filters once a month in the spring, summer and fall, and once every three months in the winter (because you’re not using the AC as often in the winter here). Our professionals will check the filters when they do their maintenance checkup and let you know if you need to change them. Electrical Connections—Our professionals will inspect all electrical connections for continued safe and reliable operation of your HVAC equipment. Damaged connections can cause unsafe operation of your equipment and decrease the life of key components. Equipment Controls—The equipment’s controls and starting cycle will be checked to ensure it starts, shuts off, and runs properly and safely. Condensate Drain—The condensate drain in your heat pump, furnace, and air conditioner needs to be inspected and checked regularly. A plugged drain can lead to water damage in the home and also raise indoor levels of humidity. Insulation—Insulation is the best money you will ever spend. Insulation starts working from day one and never stops. One of the first things our professionals do is go into the attic to be sure you have proper insulation and to look at your ductwork. If wood is exposed on the horizontal trusses or roof members in the attic, chances are it needs insulation added. Insulation goes hand-in-hand with a good air quality system. While tight homes conserve energy, all homes require controlled ventilation to eliminate odors and maintain proper oxygen levels. Air ducts— Our professionals will inspect and clean the air ducts annually. We are inspecting for gaps in the air ducts to make sure air is not escaping, and critters are not getting in. And we are making sure dust and mold is not building up in the system as well. Interior coils—A dirty coil won’t transfer heat because the dirt acts as an insulator. Cleaning coils on your HVAC system are two things any homeowner can do to make their home run more efficiently. Our professionals always check on them, because they can also be a fire hazard if too much dust builds up. You don’t want to turn on your heat or AC and smell something burning. We go beyond the basic clean and check. Our Precision Air Conditioner Tune Up includes an air delivery system analysis to insure maximum airflow throughout your home. We check for malfunctions that can cause costly breakdowns during peak use, giving you the peace of mind knowing your air conditioner is operating safely and efficiently all summer long. For this and all of your HVAC needs, contact At Your Service at 239-565-9433.